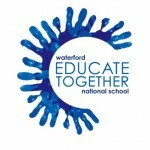 News | Waterford Educate Together N.S. We launched our Sunflower Project today . It is being headed by the children from our SNU. Thanks to M. Ann-Marie who inspired the project. Thanks to Michelle, Leanne and Christine for all their support. Thanks also to Maguire and Morrises for sponsorship of the peat and seeds. A big thank k you to our fantastic Parents Association for organising the super cake sale today.